I'm over on the StencilGirl Talk Blog today with a VIDEO showing you how you can do needle felting with a stencil and telling you about a GIVEAWAY we have going on. Come on over! If you haven't seen this video- go watch it! 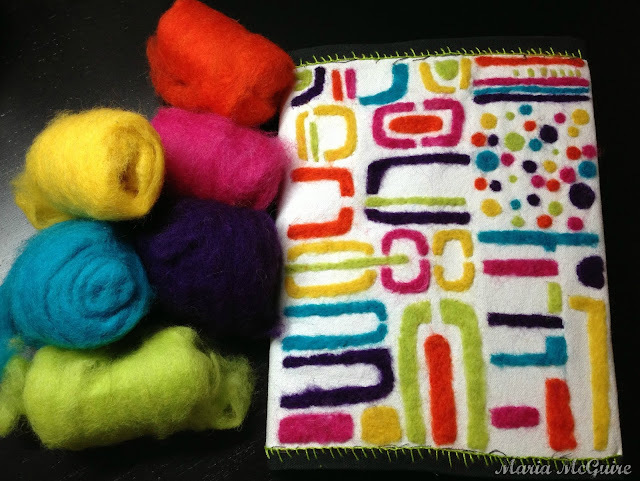 Needle felting is so easy when Maria explains it! what cool technique! AMAZING Maria!